Clean the prawns and keep aside. In a mixer add red chilli powder, cloves, garlic, lemon juice and salt and prepare fine paste. Marinate this paste to prawns keep aside for at least 30 min. 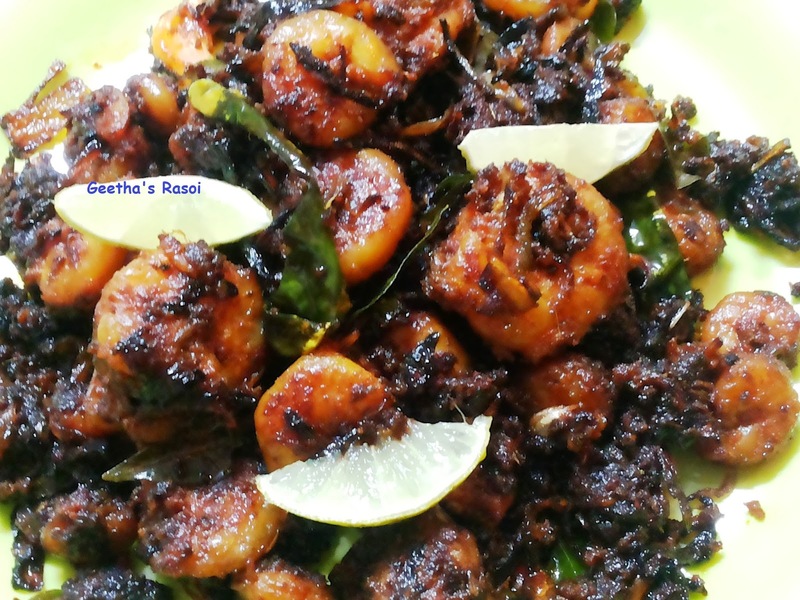 Add little oil in frying pan and shallow fry this prawns till crispy.